Please read all of the instructions and look at the pictures before attaching the holder. There are two tilt swivel sizes. The larger tilt swivel will fit directly into the MultiMoveClip. 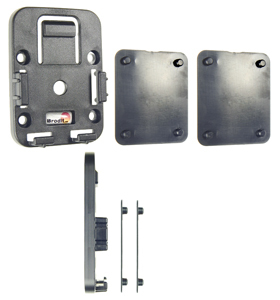 In order for the smaller tilt swivel to fit into the MultiMoveClip you need to use the enclosed adapter plate. 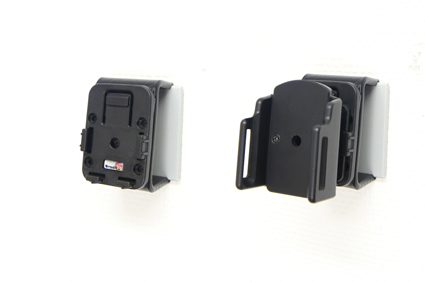 Compare the tilt swivel on your holder with the drawn picture to determine which size tilt swivel you have. 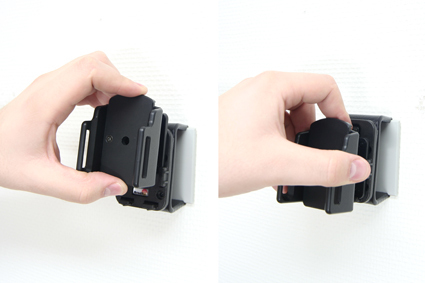 To make sure, you can always place your holder into the MultiMoveClip without using an adapter plate; if the fit is loose or unstable, you will need to use the adapter plate. 1. 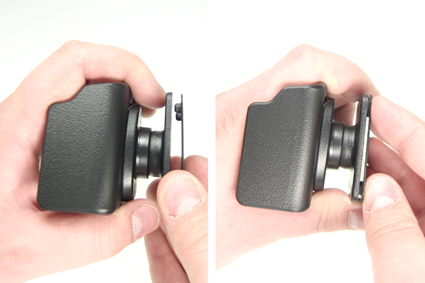 If you have the smaller tilt swivel: Press the adapter plate into place onto the tilt swivel. 2. 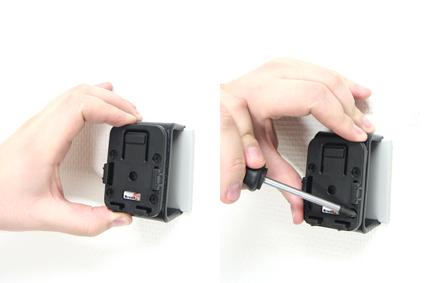 Place the MultiMoveClip onto the desired position and screw it into place with the enclosed screws.